Should a dog eat pineapple? A balanced diet containing all six essential nutrients is critical for your dog’s health. An imbalanced diet, or improper use of nutrients or supplements, is likely to cause your dog to suffer from health problems or stunt growth during your puppy’s first year. 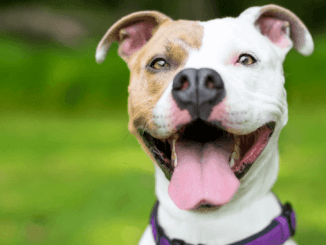 Vegetables, fruits, whole grains and fats all play an important role of providing essential nutrients for your dog to keep your best friend healthy. 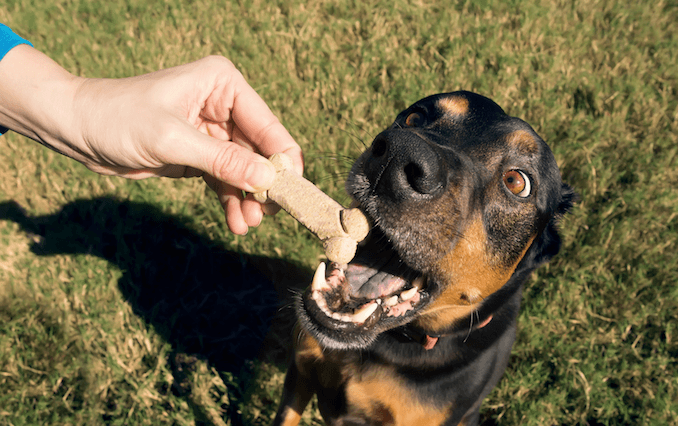 Every time you feed your dog a snack or treat your risk introducing imbalance to your dog’s diet. Which leads you to the question, is Pineapple safe for Dogs to eat? Yes! Fresh pineapple, in small quantities, can be an excellent and delicious snack for your dog. Chunks of raw pineapple, relative to your dog’s body weight, either fresh or frozen, are a healthy snack. You can now dispel the myth! 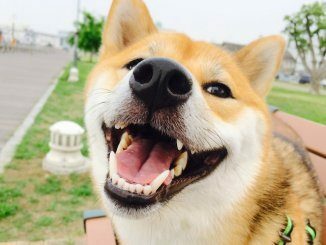 Pineapple is not toxic, dangerous or harmful for dogs. How much pineapple you should feed a dog? 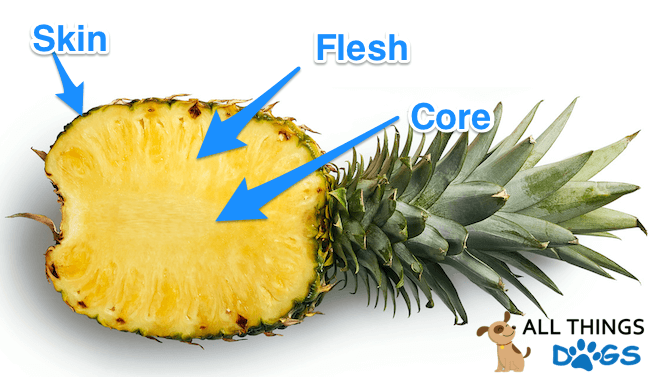 Which parts of a pineapple you should feed to your dog? The potential side effects of pineapple. Five rules for feeding pineapple to a dog. Are Pineapples Good for Dogs? A nice fresh chunk of pineapple is one of many fruit varieties which is a safe and healthy treat for your dog. A pineapple is a safe and tasty dog snack with many health benefits. The sweet pineapple contains 85% water, high doses of Vitamin C and many other important vitamins and minerals (e.g. Vitamin B6, Manganese, Thiamine, and Folate Vitamins). These minerals contribute towards a balanced diet, support a strong immune system and contribute to repairing your dog’s skin, ligaments and other tissue. Remember, this delicious and fresh fruit should be fed as a snack. 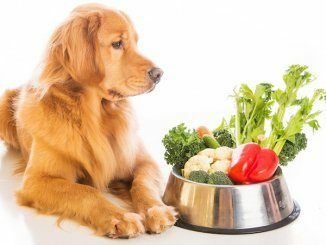 Firstly, fruits and vegetables should make up around 10% of your dog’s diet. Secondly, a well-balanced complete diet for your dog requires concentrated nutrients; to reduce calorie intake. A pineapple, whilst being a health and tasty treat, does not provide a complete source of balanced nutrients and only provides high doses of Vitamin C and Manganese (i.e. trace mineral). A dog’s digestive system is not designed to process high levels of sugar. Raw pineapple contains ~ 10% sugar. For this reason, it should only ever be an occasional treat. In addition, canned pineapple should be avoided too as the syrup preservative in the can dramatically increases the sugar content. If you decide to use occasional pineapple chunks as part of your dog’s training routine then make sure you prepare it correctly. The exterior skin of a pineapple is very tough; as are the cores too. Both the skin and core present hard choking hazards for your dog. Make sure you always prepare the pineapple into small bite sized cubes before you use it as a snack for your dog. The smaller bite size chunks make portion control far easier and avoids obstructions! If you are feeling adventurous, once diced, you can freeze the pineapple to give your dog a cool refreshing snack during hot days. Which Parts of a Pineapple Can Dogs Eat? Always avoid allowing your dog to eat the skin or core from the pineapple. 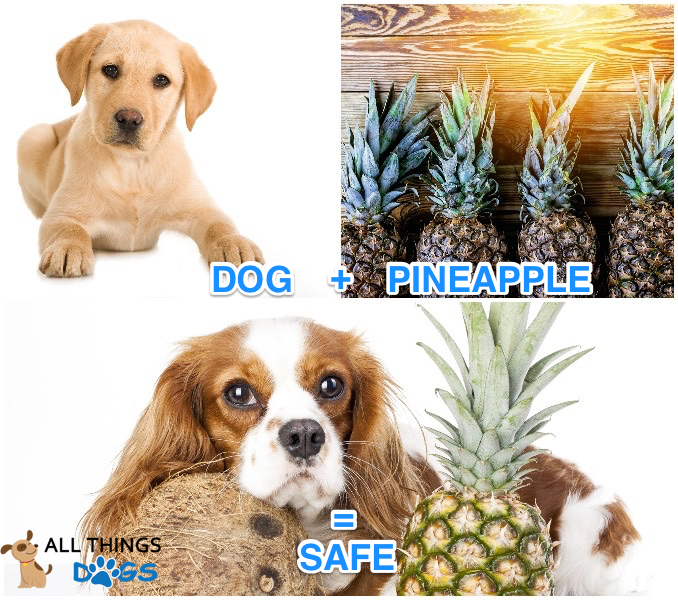 Before you treat your dog with a pineapple snack, make sure to follow the perfectly prepared pineapple guide above. Pineapple skin and core are dangerous for dogs due to the potential choking hazard and the difficultly dogs have digesting them. You can refer to this handy summary table below. How Much Pineapple Can Dogs Eat? 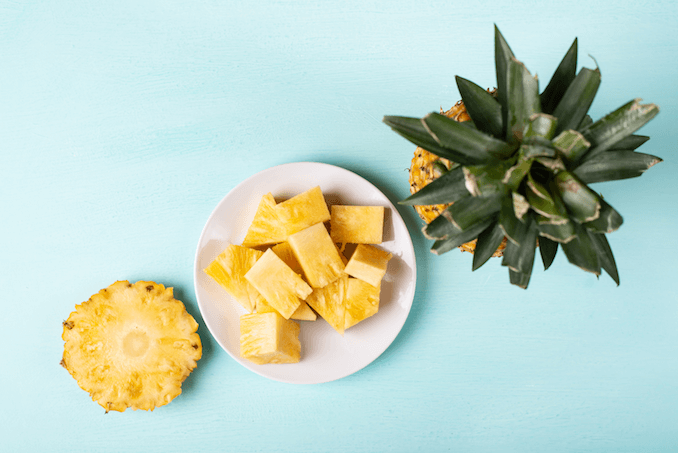 The natural imbalances of pineapple’s minerals and nutrients, with high doses of vitamin C, mean you should not feed pineapple to your dog regularly. Pineapple should only be used as a treat or reward for good behavior as part of a positive reinforcement-based training program. Fruits and vegetables should not exceed 20% of your dog’s diet and only 10% of your dog’s calories should be consumed by treats. If you have a dog which weighs around 30 pounds he will require around 500 calories/day. A maximum of 50 calories each day as a treat; this would be around 8 cubes of pineapple. You should use the waltham healthy weight maintenance to get a specific number of calories your dog should consume. Always serve sensible meal and treat portion sizes to your dog. As your dog goes through their life cycle their calorie and diet should change. 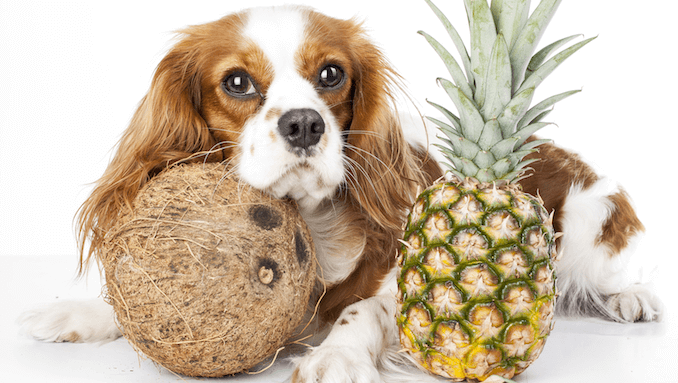 When Should You Feed Your Dog a Pineapple Treat? You should make sure not to feed your dog a treat before or after their meal. A treat should be used as a reward for good behavior, or, during training times. An occasional treat for good behavior helps to build a strong bond. A pineapple chunk is a healthy and rewarding treat for your dog. In addition to many other things; Dogs love to beg for food. Dog phycologists call this an evolutionary survival strategy. Dogs are masters of emotion. Never feed your dog due to feeling guilty or sympathetic towards your dog. Overfeeding your dog can have harmful health results. Feeding a dog on their terms creates imbalance in the power structure and risks creating behavior and training problems. There are far better ways of bonding with your pet; grooming and training. When feeding your dog pineapple use the guidance above; feed them in-between meals, on your terms, and as a reward only. Always remove the skin and core from the pineapple before cutting the pineapple into small chunks before you feed your dog the treat! Any dog treat should not exceed 10% of your dog’s calorie intake; this equates to 8 chunks of pineapple for a 30-pound dog. Only feed your dog pineapple in-between meal times and as a reward for good behavior or training. Only use pineapple as a snack for your dog. Pineapple is not perfectly balanced with nutrients and has high doses of vitamin C so shouldn’t be common in your dog’s diet. Do not feed pineapple chunks to puppies during their first 12 formative weeks as they should be on a diet specifically for their nutritional needs. Pineapple 101; What are they, Where do they come from, What are they made from? A pineapple is a tropical cluster fruit, from the Bromeliaceae fruit family, indigenous to South America. 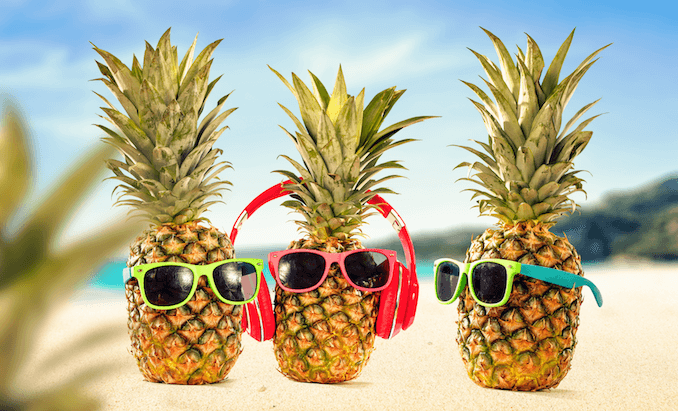 Around 10% of all pineapples croups can be found in Hawaii. Vitamin C which is used by your dog to build and repair skin, ligaments and other tissue. Manganese is a trace mineral which will help your dog to activate specific enzymes. Pineapples also have Thiamine, Vitamin B6 and Folate Vitamins. 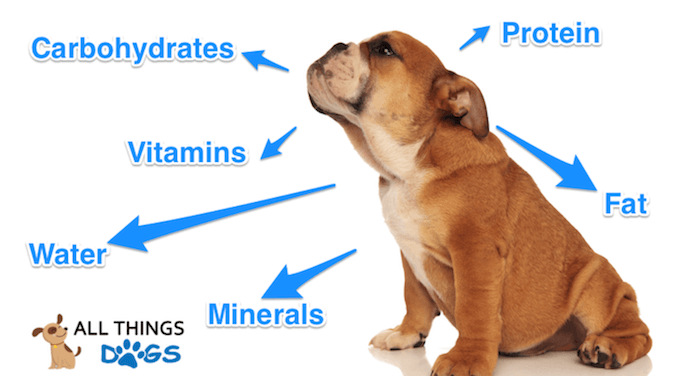 These minerals and vitamins are nutrients which can help boost your dog’s immune system. Whilst containing lots of healthy nutrients (i.e. vitamins, water and minerals) almost 10% of pineapple is sugar; this high sugar content means regular pineapple in a dog’s diet is not suitable. Pineapple should only be used as a chunk sized, infrequent snack. Just like a human; a dog requires a balanced diet and blend of nutrients. A high quality commercial chow will contain a nutritionally complete mix of all of the above nutrients and many more vitamins and minerals for your dog. Feeding your dog pineapple will provide your dog with water, minerals, vitamins and carbohydrates. Are Pineapples Bad For Dogs? Dog’s require lots of fiber in their diet. It’s an important carbohydrate in their diet. Fiber is a type of carbohydrate which gives your dog energy. For a 30 pound dog, who requires 500 calories per day, around 40% of those calories should come from carbohydrates. This results in 200 calories of carbohydrates. As carbohydrates have 4 calories per gram, this is around 50 grams. From these 50 grams; 4% should come from fiber; this is approximately 2 grams of fiber. If you feed your dog 8 chunks of pineapple; this will equate to 1.6 grams of fiber! As you can see, this is 80% of your dog’s fiber intake. This high fiber content in pineapple can cause digestive issues for your dog (i.e. constipation) if they consume too much. If your dog has diarrhoea shortly after consuming their tasty pineapple treat; it’s best to find an alternative fruit to reward them with. Anytime you feed your dog a new type of food, it is always best to keep an eye on him. Make sure he chews the food and that his system is compatible with the new food. Don’t forget to make sure your dog has access to plenty of water each time they eat too; this aids in the digestion of certain nutrients (e.g. fiber). Lots of myths exist around pineapple being a magic cure to stop dogs from eating poop (i.e. coprophagia). This is an old legend. The myth is; once a dog has ate pineapple it changes the taste of their poop; hence making it unappetizing. This has led to dog owners feeding their dog pineapple stop them from eating poop. Unfortunately, this is a myth; and has no science behind it. Dogs eating their own pop can either be random or a sign of behavioral issues. If your dog consistently eats their own poop; consult a local vet. Feeding small, moderately sized fresh pineapple chunks to your dog is a healthy and juicy treat they will love! Have you fed your dog pineapple before? Do you have any pineapple recipes to share with our readers? Can Dogs Eat Broccoli? Is It Safe For Them?